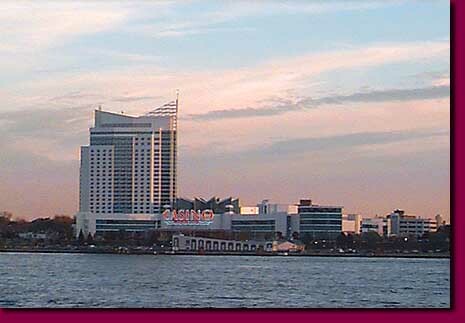 Across the Detroit River, Casino Windsor gives one an idea of the coming transformation of Detroit's skyline, and its pocketbooks. The first casino gambling in the Detroit metropolis was built in Windsor. Being the only casino in the region, it was an instant success with the vast majority of its customers coming from the Detroit side. Its presence and success became the raison d'etre for having casinos in Detroit. If Detroiters were going to lose their kids' college education, why not let it happen on Detroit side.